Volkswagen's initiative called 'The Fun Theory' wanted to prove that people's behaviour can be changed for the better by making boring, everyday tasks more fun. 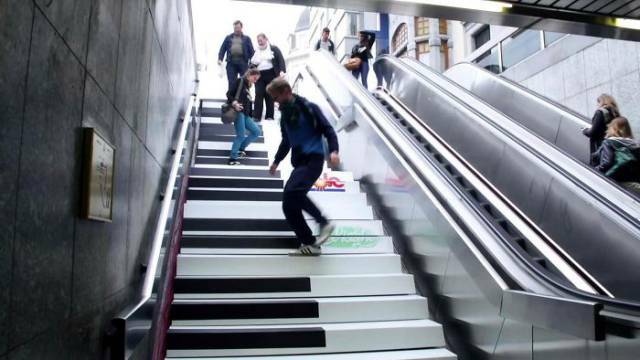 In this experiment in Stockholm, Sweden they installed musical piano steps on the staircase of a subway station to see if more people would choose the healthier option and use the stairs instead of the escalator. The results showed that 66% more people took the stairs than usual that day, because we all like a little fun don't we? At heart we are like kids in a playground, so making our cities more fun can make us all happier, fitter and healthier. 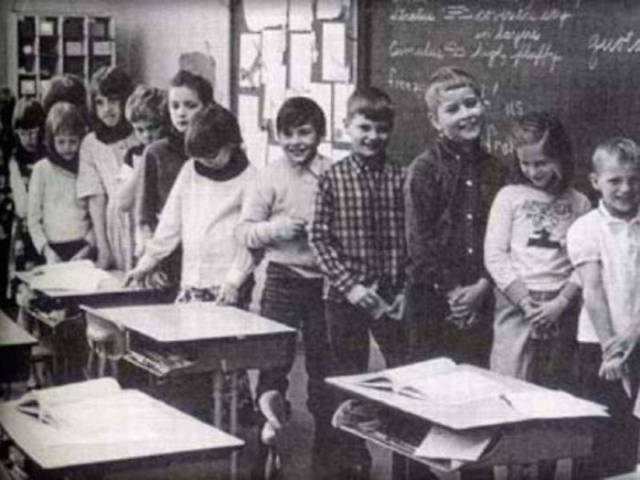 In 1968, following the murder of civil rights leader Martin Luther King, teacher Jane Elliott tried discussing issues of discrimination, racism, and prejudice with her third grade class in Riceville, Iowa. Not feeling that the discussion was getting through to her class, who did not normally interact with minorities in their rural town, Ms. Elliott began a two-day "blue eyes/brown eyes" exercise to reinforce the unfairness of discrimination and racism: Students with blue eyes were given preferential treatment, given positive reinforcement, and made to feel superior over those with brown eyes for one day; the procedure was reversed the next day, with Ms. Elliott giving favourable preference to brown-eyed students. As a result, whichever group was favoured by Elliott performed enthusiastically in class, answered questions quickly and accurately, and performed better in tests; those who were discriminated against felt more downcast, were hesitant and uncertain in their answers, and performed poorly in tests. This experiment had people alone in a room filling out a questionnaire, when smoke starts coming from under the door. What do you do? You would get up and leave, tell someone in charge and do so without hesitation, right? Now imagine the same situation, except that you are not alone, you are with several other people who don't seem to care about the smoke. What do you do now? When alone, 75% of people reported the smoke almost immediately. The average time to report was 2 minutes of first noticing the smoke. However when two actors were present, who were working with the experimenters and told to act as if nothing was wrong, only 10% of the subjects left the room or reported the smoke. 9 out of 10 subjects actually kept working on the questionnaire, while rubbing their eyes and waving smoke out of their faces. The experiment was a great example of people responding slower (or not at all) to emergency situations in the presence of passive others. We seem to rely heavily on the responses of others even against our own instincts. If the group acts as if everything is OK then it must be, right? Wrong. Don't let the passivity of others result in your inaction. Don't always assume that someone else will help, that someone is specified to take action on behalf of others. Be the one to take action! This experiment tested the Realistic Conflict Theory, and is an example of how negative attitudes and behaviours arise between groups due to competition over limited resources. 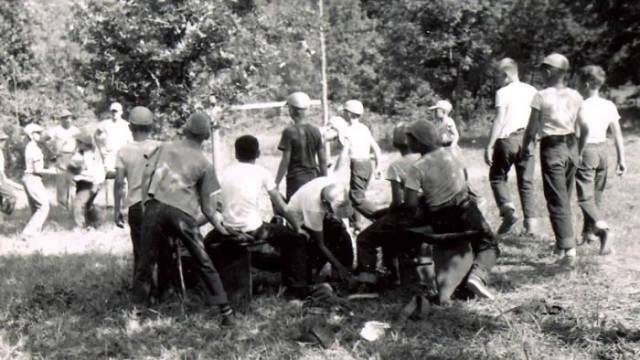 The experimenters took two groups of 11- and 12-year-old boys to what they thought was a summer camp. For the first week, the two groups of boys were separated and did not know about each other. During this time, the boys bonded with the other boys in their group. Then, the two groups were introduced to each other and immediately signs of conflict began. The experimenters created competition between the groups and, as predicted, the levels of hostility and aggressive behaviour between the groups increased. In the third week, the experimenters created conditions that required both groups to work together solving a common problem. One example was the drinking water problem. The kids were under the impression that their drinking water was cut off possibly due to vandals. Both groups worked together to solve the problem. 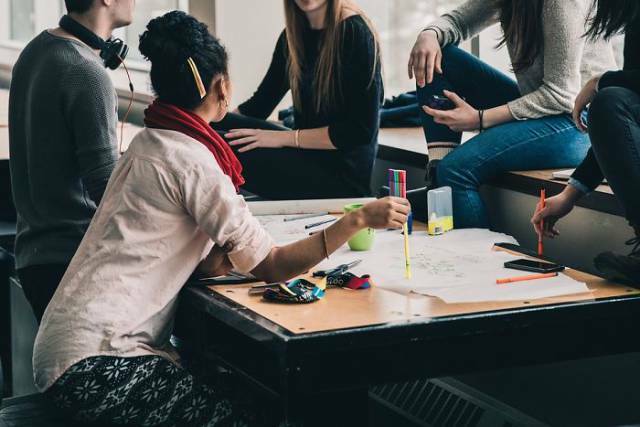 By the end of the experiment, after the groups had worked together on tasks, the making of friends between groups had increased significantly, demonstrating that working inter-group socialisation is one of the most effective ways to reduce prejudice and discrimination. 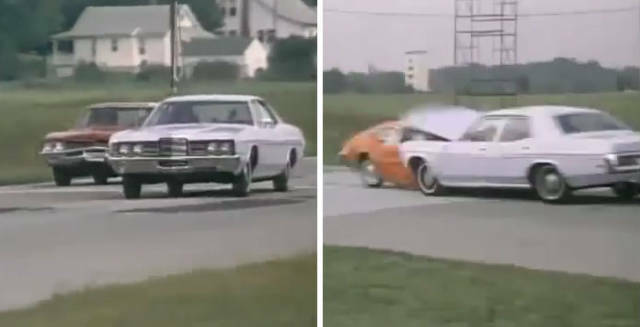 The 1974 Car Crash Experiment by Loftus and Palmer aimed to prove that wording questions a certain way could influence a participant’s recall, by twisting their memories of a specific event. They asked people to estimate the speed of motor vehicles using different forms of questions. Estimating vehicle speed is something people are generally poor at and so they may be more open to suggestion. The results show that the verb conveyed an impression of the speed the car was travelling and this altered the participants' perceptions. Participants who were asked the “smashed” question thought the cars were going faster than those who were asked the “hit” question. The participants in the “smashed” condition reported the highest speed estimate (40.8 mph), followed by “collided” (39.3 mph), “bumped” (38.1 mph), “hit” (34 mph), and “contacted” (31.8 mph) in descending order. In other words, eyewitness testimony might be biased by the way questions are asked after a crime is committed. 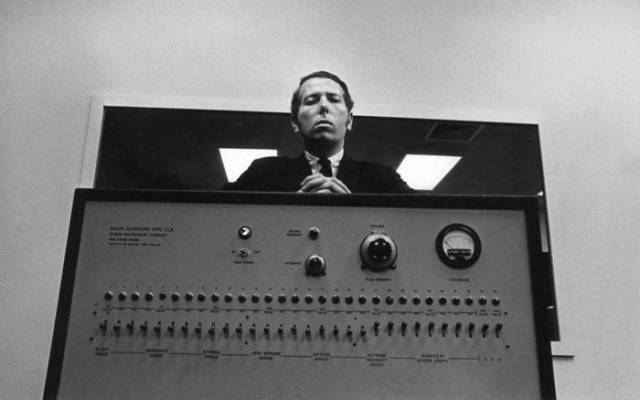 This experiment was conducted in 1961 by psychologist Stanley Milgram, and was designed to measure the lengths that people would go to in obedience to authority figures, even if the acts they were instructed to carry out were clearly harmful to others. Subjects were told to play the role of teacher and administer electric shocks to the learner, an actor who was out of sight and ostensibly in another room, every time they answered a question incorrectly. In reality, no one was actually being shocked. The learner, purposely answering questions wrongly, was made to sound like they were in a great deal of pain as the intensity of the shocks increased with each incorrect answer. Despite these protests many subjects continued to administer shocks when an authority figure, the 'experimenter,' urged them to. Eventually, 65% of subjects administered what would be lethal electric shocks, the highest level of 450 volts. The results showed that ordinary people are likely to follow orders given by an authority figure, even to the extent of killing an innocent human being. Obedience to authority is simply ingrained in us all, from the way we are brought up as children. In this social experiment by the Danish brewery Carlsberg, the subjects, unsuspecting couples out to watch a movie, walk into a crowded cinema. There are only 2 seats remaining, right in the middle, with each of the rest taken by a rather tough-looking and tattooed male biker. As the informal experiment (which was actually intended to be just an advertisement) unfolds, not all of the couples end up taking a seat, and upon seeing the bikers decide to leave immediately. Some couples do choose to take their seats however, and are rewarded with cheers from the crowd and a round of free Carlsberg beers. The experiment was a good example of why people shouldn't always judge a book by its cover. The Stanford marshmallow experiment was a series of studies on delayed gratification in the late 1960's and early 1970's led by psychologist Walter Mischel. Using children of ages four to six as subjects, they were led into a room where a treat (usually a marshmallow, but sometimes a cookie or pretzel stick), was placed on a table, by a chair. The children could eat the treat, the researchers said, but if they waited for fifteen minutes without giving in to the temptation, they would be rewarded with a second treat. Mischel observed that some would "cover their eyes with their hands or turn around so that they can't see the tray, others start kicking the desk, or tug on their pigtails, or stroke the marshmallow as if it were a tiny stuffed animal," while others would simply eat the marshmallow as soon as the researchers left. In follow-up studies, the researchers found that children who were able to wait longer for the larger reward of two marshmallows tended to have better life outcomes, as measured by SAT scores, educational attainment, body mass index, and other life measures. In this experiment, researchers asked college students whether they would be willing to walk around campus for 30 minutes wearing a large sandwich board bearing the message: "Eat at Joe's." The researchers then asked the students to estimate how many other people would agree to wear the advertisement. They found that those who agreed to carry the sign believed that the majority of people would also agree to carry the sign. Those who refused felt that the majority of people would refuse as well. So whether they agreed to promote "Joe's" or not, participants were strong in their belief that most others would have made the same choice. The results demonstrate what is known in psychology as the false consensus effect. No matter what our beliefs, options, or behaviours, we tend to believe that the majority of other people agree with us and act the same way we do. 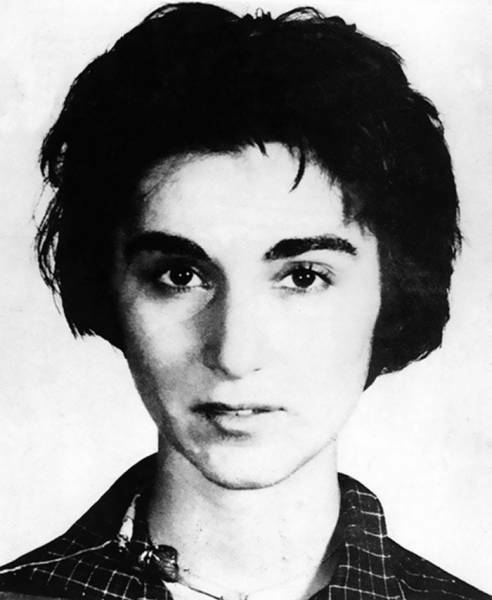 The murder case of Kitty Genovese was never intended to be a psychological experiment, however it ended up becoming the catalyst for discoveries about what is now known as the Bystander Effect. The bystander effect occurs when the presence of others discourages an individual from intervening in an emergency situation. Social psychologists Bibb Latané and John Darley popularized the concept following the infamous 1964 murder in New York City. Genovese was stabbed to death outside her apartment while bystanders who observed the crime did not step in to assist or call the police. 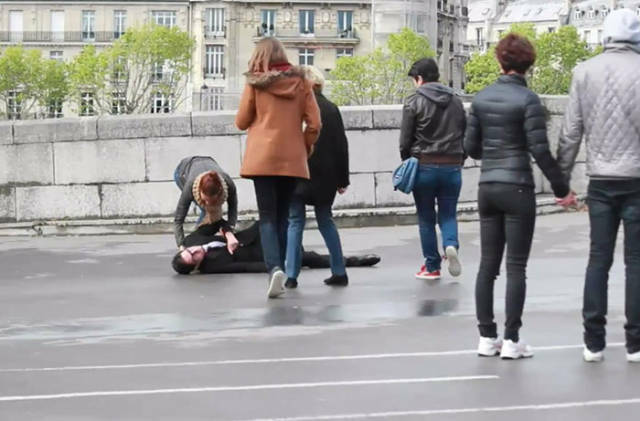 Latané and Darley attributed the bystander effect to the perceived diffusion of responsibility (onlookers are more likely to intervene if there are few or no other witnesses) and social influence (individuals in a group monitor the behavior of those around them to determine how to act). In Genovese's case, each onlooker concluded from their neighbors' inaction that their own personal help was not needed. 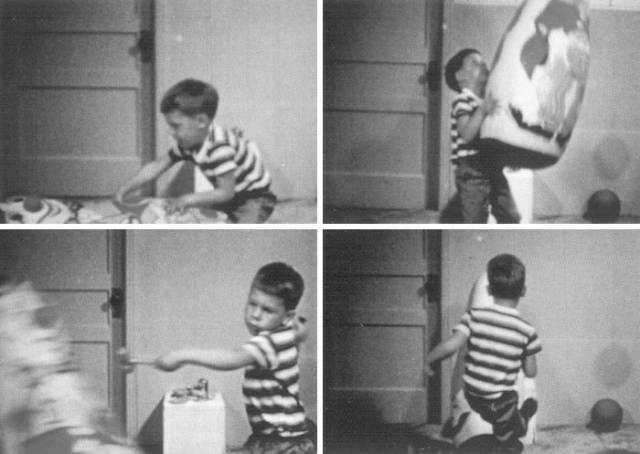 The Bobo Doll Experiment was performed in 1961 by Albert Bandura, to test his belief that all human behaviour was learned, through social imitation and copying, rather than inherited through genetic factors. To try and prove that children would copy an adult role model's behaviour, he separated participants into groups. One was exposed to an adult showing aggressive behaviour towards a Bobo doll; another was exposed to a passive adult playing with the Bobo doll; and the third formed a control group with no exposure to an adult at all. Children were sent to a room individually with various toys including the Bobo doll. They were told not to play with the toys as they were reserved for other children. This was designed to increase the levels of frustration. What the researcher found was that children exposed to the aggressive model were more likely to exhibit aggressive behaviour towards the Bobo doll themselves, while the other groups showed little aggressive behaviour. For those children exposed to the aggressive model, it was boys that showed a far higher tendency to mimic the physically aggressive behaviour of the adult. Imagine you are asked to watch a short video in which six people-three in white shirts and three in black shirts-pass basketballs around. While you watch, you must keep a silent count of the number of passes made by the people in white shirts. At some point, a gorilla strolls into the middle of the action, faces the camera and thumps its chest, and then leaves, spending nine seconds on screen. Would you see the gorilla? Almost everyone has the intuition that the answer is "yes, of course I would." How could something so obvious go completely unnoticed? But during this experiment at Harvard University several years ago, it was found that half of the people who watched the video and counted the passes missed the gorilla. It was as though the gorilla was invisible. 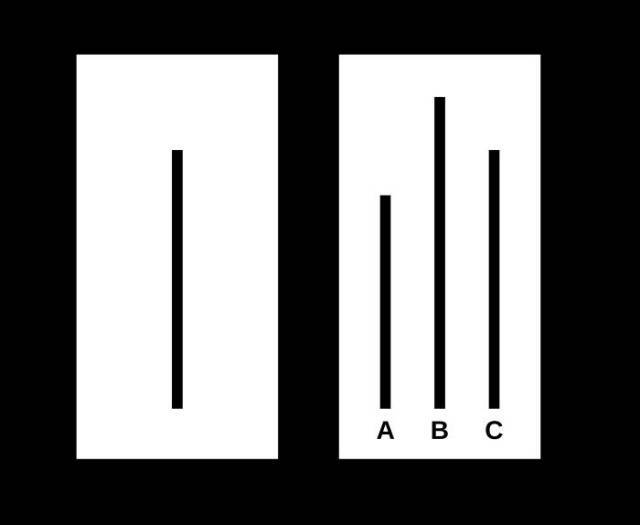 The Asch Experiment is another famous example of social conformity in group situations. One subject was placed in a room with other people, actors who had been previously instructed how to respond. The person conducting the experiment held up an image with three numbered lines and asked each person in the room to identify the longest line. The actors responded first, purposely choosing the incorrect line, making a blatant and obvious error. The results showed that, on average, 32% of subjects who were placed in this situation went along and conformed to the clearly incorrect majority, again showing how readily people tend to conform in group situations despite the evidence in front of their very eyes. When they were interviewed after the experiment, most of the subjects said that they did not really believe their conforming answers, but had gone along with the group for fear of being ridiculed or thought "peculiar". A few of them said that they really did believe the group's answers were correct. Apparently, people conform for two main reasons: because they want to fit in with the group, and because they believe the group is better informed than they are. 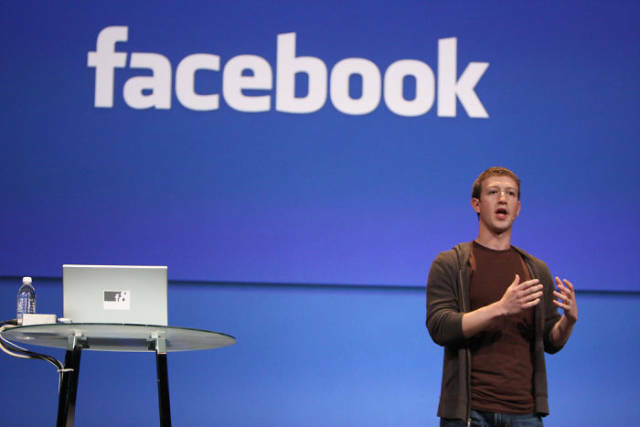 In 2012 Facebook conducted a massive experiment on its users, unbeknownst to them. The social media giant manipulated the news feeds of 689,003 people for one week, prioritizing either positive or negative emotional content. They then tracked the updates that the unwitting users posted, to see if they had been influenced by the manipulated feeds. What they found was that they could essentially make their users feel happier or sadder, in a process called ‘emotional contagion’. The study concluded by saying: "Emotions expressed by friends, via online social networks, influence our own moods, constituting, to our knowledge, the first experimental evidence for massive-scale emotional contagion via social networks." While completely legal, we all sign up for Facebook voluntarily after all, the ethics of such mass manipulation are questionable. "People are supposed to be told they are going to be participants in research and then agree to it and have the option not to agree to it without penalty." One academic said in response to the controversial experiment. The power that social media networks are beginning to exert over our lives is of increasing concern. Do you trust Facebook to look after your best interests? Or are you leaving yourself open to emotional manipulation for the benefit of advertisers? The study, while controversial, has opened a deeper discussion about online ethics and privacy, which can only be a good thing. In this experiment conducted in 1920, educational psychologist Edward Thorndike asked two commanding officers to evaluate their soldiers in terms of physical qualities (neatness, voice, physique, bearing, and energy), intellect, leadership skills, and personal qualities (including dependability, loyalty, responsibility, selflessness, and cooperation). His goal was to see how a persons judgement of one characteristic affected their subsequent judgement of other characteristics. Thorndike discovered that when commanding officers gained a good impression of one characteristic from a soldier, those good feelings tended to affect perceptions of other qualities. Conversely, if a soldier had a particular "negative" attribute picked up by the commanding officer, it would correlate in the rest of that soldier's results. 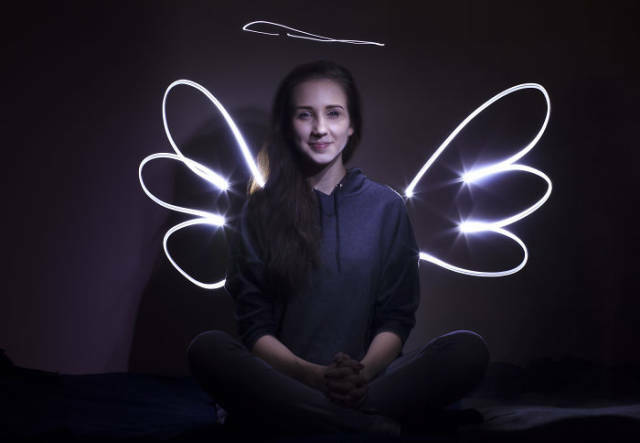 The 'halo effect' refers to the positive impressions that people get about one particular characteristic affecting perceptions of other qualities. For example if you find somebody to be physically attractive, it can lead to skewed favourable perceptions of their other qualities such as generosity, friendliness, intelligence etc. However the reverse is also true. If you get negative impression of one characteristic it can lead you to view other personal qualities in a less favourable light. First impressions count! 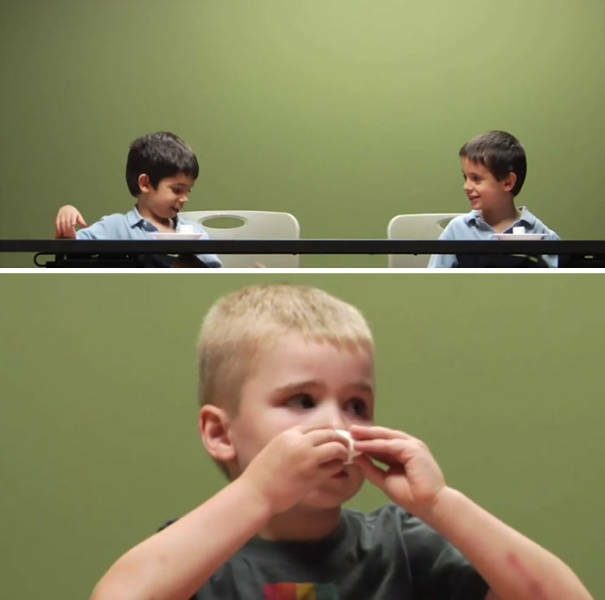 This experiment was conducted by Dr. Wendell Johnson, a speech pathologist who wanted to show that the prevailing theories about the causes of stuttering were wrong. During the 1930s it was thought that stuttering had an organic or genetic cause. This meant you were born a stutterer (or not) and little could be done. Dr. Johnson believed that the labelling of children as stutterers could actually make them worse, and in some cases cause ‘normal’ children to start stuttering. To prove his point, he suggested an experiment which has since become known as the ‘Monster Study’. Twenty-two young orphans were recruited to participate in the experiment. They were then divided into two groups. The first were labelled ‘normal speakers’ and the second ‘stutterers’. Crucially only half of the group labelled stutterers did actually show signs of stuttering. During the course of the experiment, the normal speakers were given positive encouragement but it was the treatment of the other group that has made the experiment notorious. The group labelled stutterers were made more self-conscious about stuttering. They were lectured about stuttering and told to take extra care not to repeat words. Other teachers and staff at the orphanage were even unknowingly recruited to reinforce the label as the researchers told them the whole group were stutterers. Of the six ‘normal’ children in the stuttering group, five began stuttering after the negative therapy. Of the five children who had stuttered before their ‘therapy’, three became worse. In comparison, only one of the children in the group labelled ‘normal’ had greater speech problems after the study. Realising the power of their experiment, the researchers tried to undo the damage they had done, but to no avail. It seemed the effects of labelling the children stutterers was permanent. This is something the orphans labelled stutterers have had to cope with for the rest of their lives. Clearly this research raises a number of major ethical concerns, despite the good intentions of the researcher. In 2001 the University of Iowa, where the study was conducted, issued a formal apology and called the experiment both regrettable and indefensible. In 1961, when Fantz carried out his simple yet genius experiment, there wasn’t much you could do to find out what was going on in a baby’s head – other than watch. And watching the baby is what he did. An enduring feature of human nature is if there’s something of interest near us, we generally look at it. So Fantz set up a display board above the baby to which were attached two pictures. On one was a bulls-eye and on the other was the sketch of a human face. Then, from behind the board, invisible to the baby, he peeked through a hole to watch what the baby looked at. What he found was that a two-month old baby looked twice as much at the human face as it did at the bulls-eye. This suggested that human babies have some powers of pattern and form selection. Before this it was thought that babies looked out onto a chaotic world of which they could make little sense. As a result of this and subsequent similar studies, psychologists have suggested that we are born with a definite preference for viewing human faces. This would certainly make evolutionary sense as other human faces hold all sorts of useful information which is vital for our survival. The Hawthorne Effect came from a 1955 study conducted by Henry Landsberger. The employees' working conditions were changed in other ways too (their working hours, rest breaks and so on), and in all cases their productivity improved when a change was made. Indeed, their productivity even improved when the lights were dimmed again. 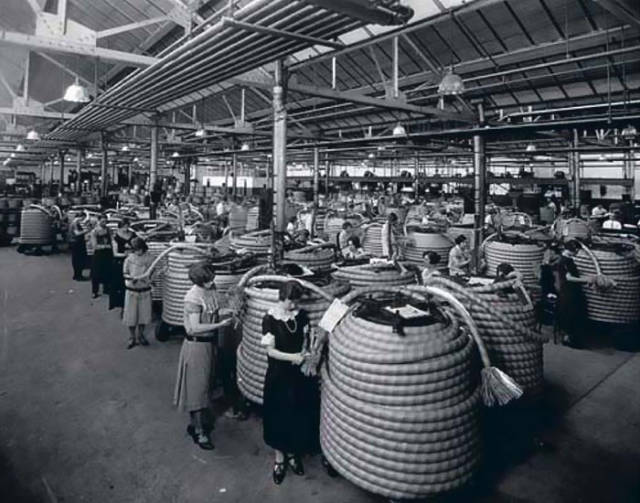 By the time everything had been returned to the way it was before the changes had begun, productivity at the factory was at its highest level. Absenteeism had plummeted. The experimenters concluded that it was not the changes in physical conditions that were affecting the workers' productivity. Rather, it was the fact that someone was actually concerned about their workplace and was observing them. The workers felt important because they were pleased to be singled out, and increased productivity as a result. This effect is a simple premise that human subjects in an experiment change their behavior simply because they are being studied. In 1973 at Princeton Theological Seminary, students took part in an experiment which was ostensibly a study on religious education and vocations. In one building, they completed a questionnaire, then they were instructed to go to another building to give either a talk on jobs, or a talk on the story of the Good Samaritan. The participants were told to hurry, but to different degrees. On the way to the second building, a confederate (actor who is part of the study) was hunched over in the alley, in plain sight, in clear need of help. This experiment was a test of people's willingness to help and how it is affected by situational factors. First the researchers found that it mattered less whether the participants were going to talk about jobs or about the story of the Good Samaritan, although those going to talk on the subject of help did show a slightly greater willingness to stop and help. The "hurry variable" was however significantly correlated to the helping behaviour, that is, the more the participants were in a hurry, the less helping behaviour they demonstrated. In fact, only 10% of those who were in the "high hurry" category offered aid to the suffering actor. Those in less of a hurry offered more help, as many as 63% of the subjects in the low hurry condition stopped to offer assistance. Hurrying then significantly effected helpfulness, much more than personality factors. It appears that acts of kindness are more strongly influenced by situational factors than many of us think. The concept of “learned helplessness” was investigated by Martin Seligman in 1965. The discovery of this concept was accidental and it occurred during a series of studies about negative reinforcement. The studies were conducted on dogs and was an attempt to expand on the research of Pavlov – he who made dogs salivate when they heard a bell ring. Seligman wanted to head in the other direction, when he rang his bell instead of providing food, he shocked them lightly with electricity. To keep them still, he restrained them in a harness during the experiment. After they were conditioned, he put these dogs in a big box with a little fence dividing it into two halves. It was hypothesized that if he rang the bell, the dog would hop over the fence to escape, but it didn’t. It just sat there and braced itself. He decided to try shocking them after ringing the bell, but the dog still just sat there and took it. When they put a dog in the box which had never been shocked before and tried to shock it – it jumped the fence immediately. 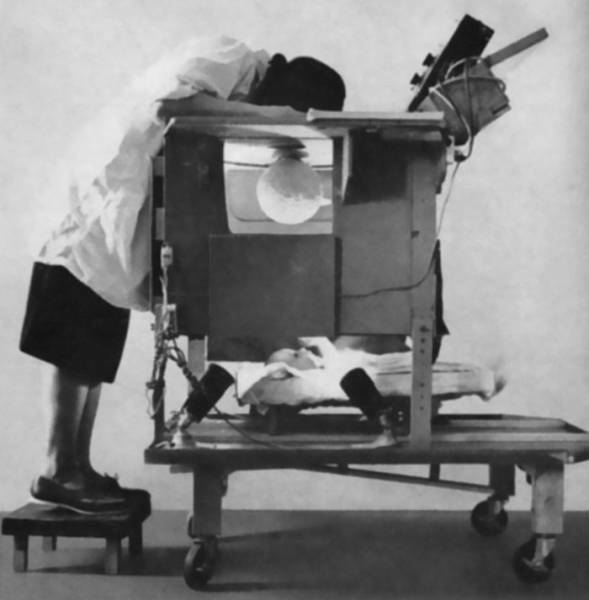 As the dogs had learned from the first part of the experiment that there was nothing they could do to avoid the shocks, they gave up and lay there resigned to their fate in the second part of the experiment. 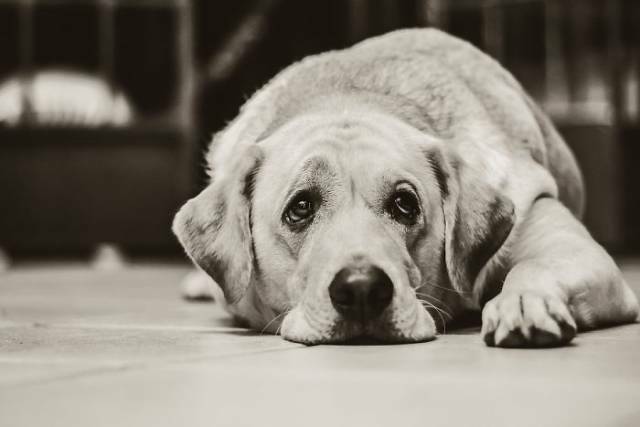 This condition is described as learned helplessness, where a human or animal does not attempt to get out of a negative situation because the past has taught them that they are helpless. Harry Harlow, during the late 1950s and early 1960s, wanted to study the importance of a mother’s love for healthy childhood development. In order to do so he conducted a series of experiments on rhesus monkeys, observing how isolation and separation can affect the subjects in the latter years of their lives. Harlow’s Monkey experiment ultimately reinforced the importance of mother-and-child bonding. 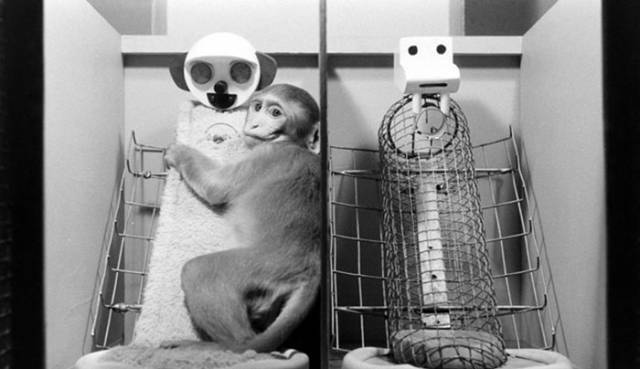 Harlow separated infant monkeys from their biological mothers within 6 to 12 hours after being born. He then placed these infants in a nursery with inanimate ‘surrogate’ mothers – one who is made of heavy wire mesh and the other made of wood that was covered in soft cloth. Both surrogates were of the same size; however the wire mesh mother did not have any soft surface, while the cloth mother was soft to the touch and appeared to be cuddly. In the first experiment, both the surrogates were placed with the infant monkeys, so the infants would have a ‘choice’ where to go. Both surrogates are able to provide nourishment to the infants. In the second experiment, the infant monkeys were divided into two groups (wire mesh or terry cloth), and the infants had no choice which one they would go to. After observing the infant monkeys over time, it was found that even though the infants received nourishment from the wire mesh mother, they still spent more time cuddling and being affectionate with the terry cloth mother. This shows that the bond between mother and infant was not solely based on whether the former is able to give the latter’s physiological needs. 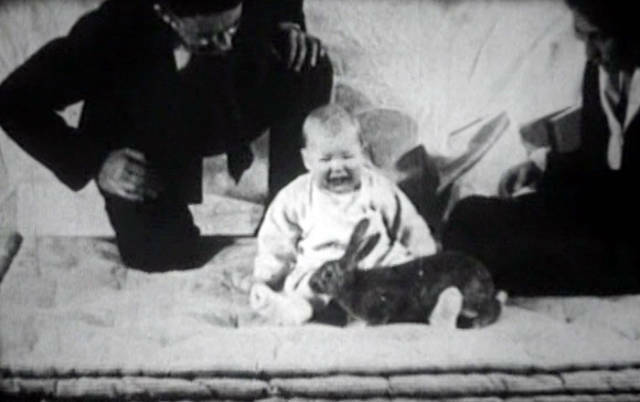 Furthermore, the results of the second experiment showed that while the infants from both groups consumed the same amount of milk from their mother, the infants who grew up with the terry cloth mother exhibited emotional attachment and what is considered as normal behaviour when presented with stressful variables. Whenever they felt threatened, they would come close to the terry cloth mother and cuddle with it until the monkeys were calm. The results for the wire mesh mother were the opposite. They reacted rather differently with the same stimulus – throwing themselves on the floor, rocking back and forth, and evidently did not go to the wire mesh mother for comfort. This controversial experiment was conducted in 1920 by John Watson and Rosalie Rayner at Johns Hopkins University. A one-year-old baby called Albert was put on a mattress on a table in the middle of a room. A white laboratory rat was placed near Albert and he was allowed to play with it. At this point the experimenters made a loud sound behind Albert's back by striking a suspended steel bar with a hammer each time the baby touched the rat. Albert responded to the noise by crying and showing fear. 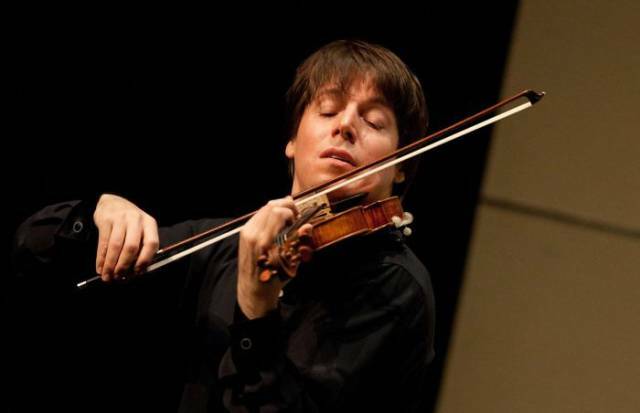 After several such pairings of the two stimuli, Albert was presented with only the rat. Upon seeing the rat, Albert got very distressed, crying and crawling away. Apparently, the infant associated the white rat with the noise. The rat, originally a neutral stimulus, had become a conditioned stimulus, and it was eliciting an emotional response (conditioned response) similar to the distress (unconditioned response) originally given to the noise (unconditioned stimulus). In further experiments, Little Albert seemed to generalize his response to the white rat. He became distressed at the sight of several other furry objects, such as a rabbit, a furry dog, and a seal-skin coat, and even a Santa Claus mask with white cotton balls in the beard. The experiment had many failings by modern standards. For example, it had only a single subject and no control subjects. Furthermore, such an experiment could be hard to conduct in compliance with current law and regulations, it is now generally considered to be one of the more unethical psychological experiments conducted throughout the years. 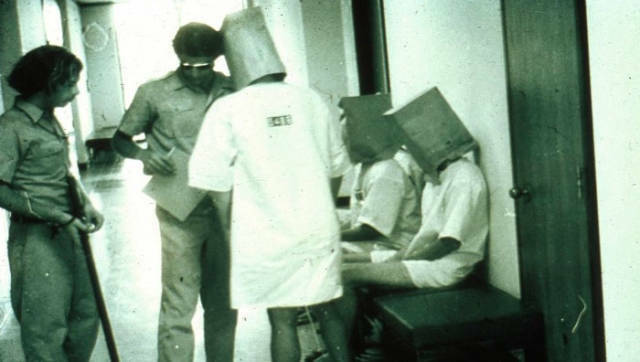 The Stanford prison experiment was an attempt to investigate the psychological effects of perceived power, focusing on the struggle between prisoners and prison officers. It was conducted at Stanford University in 1971, by a research group led by psychology professor Philip Zimbardo and using college students as subjects. Zimbardo aimed to test the hypothesis that the inherent personality traits of prisoners and guards are the chief cause of abusive behaviour in prison. Participants were randomly assigned to either the role of prisoner or guard, simulating a prison environment. Prisoners were treated like every other criminal. When they arrived at the prison they were stripped naked, deloused, had all their personal possessions removed and locked away, and were given prison clothes and bedding. They were issued a uniform, and referred to by their number only. The use of ID numbers was a way to make prisoners feel anonymous. Within hours of beginning the experiment those who were assigned as guards began to harass the prisoners. The prisoners were taunted with insults, given pointless and boring tasks to accomplish, and they were generally dehumanised. In less than a week some of the guards had become sadistic, escalating their abuse of prisoners as the days passed. The prisoners had broken down emotionally and physically. The results of the study concluded that people conform to the social roles they are expected to play, especially if the roles are as strongly stereotyped as those of the prison guards. It seemed that it was the situation, and not their individual personalities, that had caused the guards brutal and sadistic behaviour. None of the participants who had become guards had shown signs of sadistic personality types before the beginning of the study. The Cognitive Dissonance Experiment is based on the theory that people hold many different cognitions about their world, for example about their environment and their personalities. In an event wherein some of these cognitions clash, an unsettled state of tension occurs and this is called cognitive dissonance. 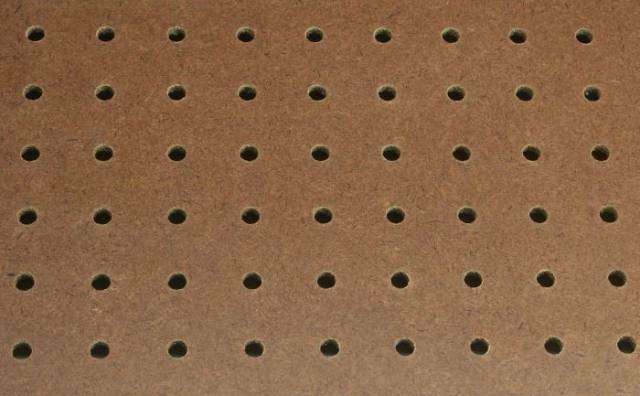 In 1959 Leon Festinger conducted an experiment where participants were asked to perform a series of painstakingly boring tasks, such as pointlessly turning pegs in a peg board for an hour. Participants responses toward the task were highly negative. They were then paid either $1 or $20 to tell a participant waiting in the lobby that the tasks were really interesting. When the participants were later asked to evaluate the experiment, the participants who were paid only $1 to lie to the waiting participants rated the tedious task as more fun and enjoyable than the participants who were paid $20 to lie. It seems that being paid only $1 is not a sufficient incentive for lying, and so those who were paid $1 experienced dissonance. They could only overcome that dissonance by coming to believe that the tasks really were interesting and enjoyable. Being paid $20 provides a reason for turning pegs and there is therefore no dissonance. Therefore people, when persuaded to lie without being given enough justification, will convince themselves of the falsehood, rather than telling a lie. The "Lost in the Mall" experiment is a memory implantation technique used to demonstrate that confabulations about events that never took place – such as having been lost in a shopping mall as a child – can be created through suggestions made to experimental subjects. It was first developed by Jim Coan, an undergraduate student of psychologist Elizabeth Loftus as support for the claim that it is possible to implant entirely false memories in people. The technique was developed in the context of the debate about the existence of repressed memories and false memories. Coan enlisted his mother, sister and brother as subjects. He assembled booklets containing four short narratives describing childhood events, and instructed them to try to remember as much as possible about each of the four events, and to write down those details over the course of six days. 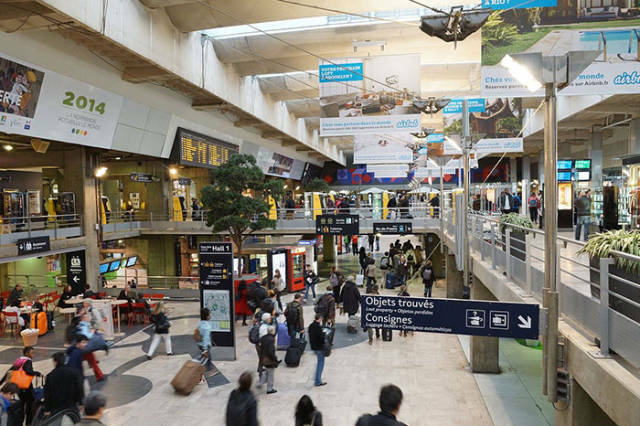 Unbeknown to the participants, one of the narratives was false; it described Coan's brother getting lost in a shopping mall at around the age of 5, then being rescued by an elderly person and reunited with his family. During the experiment, Coan's brother unwittingly invented several additional details of the false narrative. At the conclusion of the experiment—during a tape-recorded debriefing—when told that one of the narratives was false, Coan's brother could not identify which one and expressed disbelief when told. Loftus calls this study "existence proof" for the phenomenon of false memory creation and suggests that the false memory is formed as a result of the suggested event (being lost in a mall) being incorporated into already existing memories of going to the mall. With the passage of time it becomes harder for people to differentiate between what actually happened and what was imagined and they make memory errors. While Ivan Pavlov worked to unveil the secrets of the digestive system, he also studied what signals triggered related phenomena, such as the secretion of saliva. When a dog encounters food, saliva starts to pour from the salivary glands located in the back of its oral cavity. This saliva is needed in order to make the food easier to swallow, and also contains enzymes that break down certain compounds in the food. 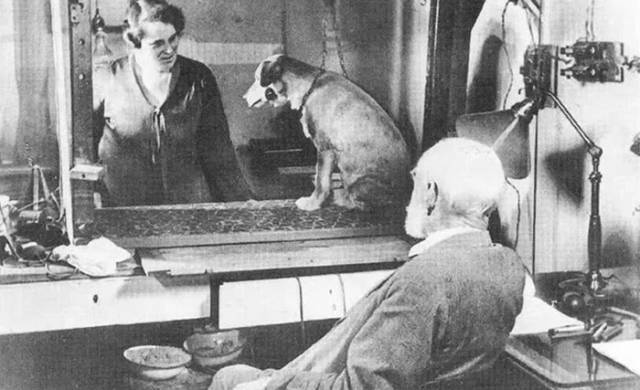 Pavlov became interested in studying reflexes when he saw that the dogs drooled without the proper stimulus. Although no food was in sight, their saliva still dribbled. It turned out that the dogs were reacting to lab coats. Every time the dogs were served food, the person who served the food was wearing a lab coat. Therefore, the dogs reacted as if food was on its way whenever they saw a lab coat. In a series of experiments, Pavlov then tried to figure out how these phenomena were linked. For example, he struck a bell when the dogs were fed. If the bell was sounded in close association with their meal, the dogs learnt to associate the sound of the bell with food. After a while, at the mere sound of the bell, they responded by drooling. The dogs had learned to associate the bell and the food and this learning created a new behaviour. Pavlov's discovery was that environmental events that previously had no relation to a given reflex (such as a bell sound) could, through experience, trigger a reflex (salivation). This kind of learnt response is called conditioned reflex, and the process whereby dogs or humans learn to connect a stimulus to a reflex is called conditioning. The Third Wave was an experimental social movement created by California high school history teacher Ron Jones to explain how the German population could accept the actions of the Nazi regime during the Second World War. While he taught his students about Nazi Germany during his "Contemporary World History" class, Jones found it difficult to explain how the German people could accept the actions of the Nazis, and decided to create a social movement as a demonstration of the appeal of fascism. Over the course of five days, Jones conducted a series of exercises in his classroom emphasizing discipline and community, intended to model certain characteristics of the Nazi movement. As the movement grew outside his class and began to number in the hundreds, Jones began to feel that the movement had spiraled out of control. He convinced the students to attend a rally where he claimed the announcement of a Third Wave presidential candidate would be televised. Upon their arrival, the students were presented with a blank channel. Jones told his students of the true nature of the movement as an experiment in fascism, and presented to them a short film discussing the actions of Nazi Germany.